Meek Mill now has a chain that’s worth 36 Grammy Awards. Meek Mill just announced on Instagram Story that JAY-Z took a Roc Nation chain off his neck and gave it to him on the spot. Get this, the Philly rapper added that the chain is probably worth a lot of Grammy’s. 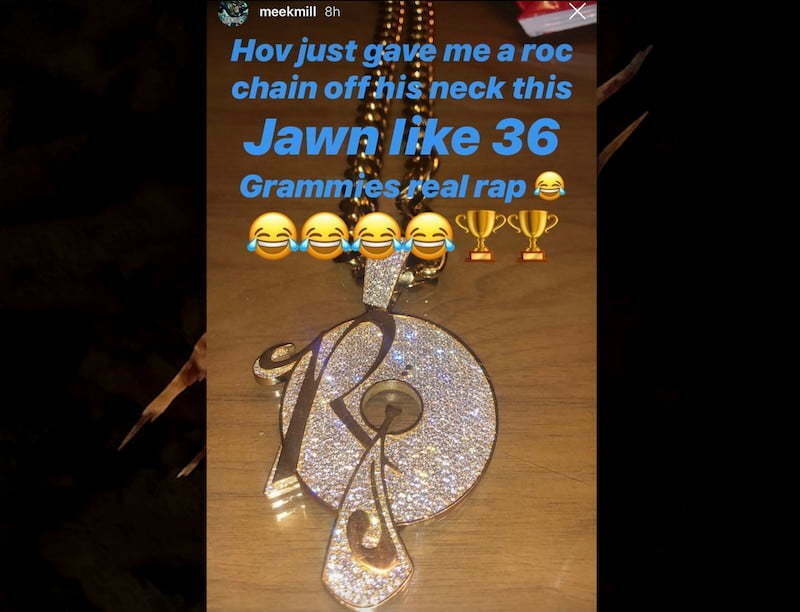 “Hov just gave me a ROC chain off his neck this jawn like 36 Grammies real rap,” the Championships rapper wrote. Meek Mill is currently celebrating the success of his new album Championships which debut at No. 1 on the Billboard 200 chart after selling 229,000 album-equivalent units in its first week, 42,000 is from pure album sales. Coming off the success of his first post-prison album, perhaps JAY-Z is now telling Meek Mill its time to sign to Roc Nation. The Philly MC already has a management deal with JAY-Z’s company, and now he maybe wants to put in place a proper record deal. 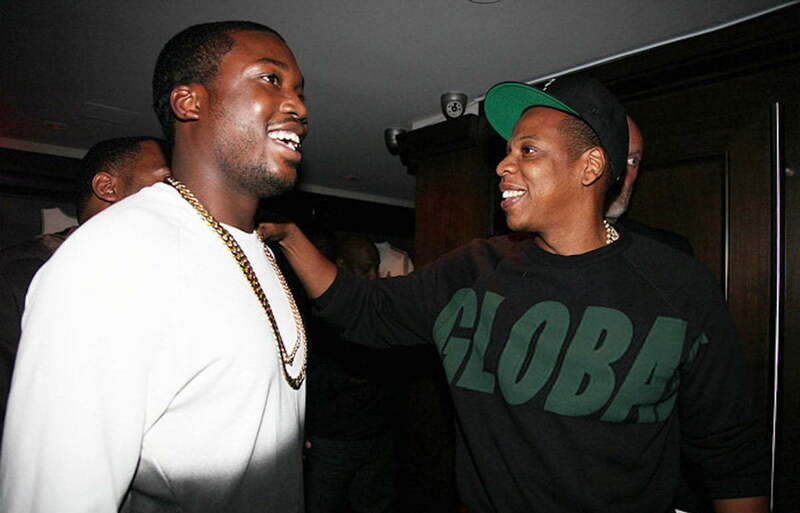 Meek and Hov relationship goes way back, in fact, the rap mogul was one of the most influential voices advocating for the release of Meek from prison when he was unjustly imprisoned for violating his probation by popping wheelies in the street.